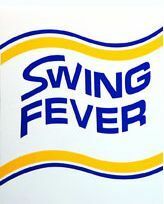 The Swing Fever Dance Band is all about big band music! Check back often as we'll be posting recordings of our performances here regularly. This live recording is from the concert we did in the Kutztown Community park in June of 2014. Vocalists are Ken Haas and Darel Atkinson.